I had my properties serviced 307 and 309 Rosewood Court, Venice, FL 34293 first time I had this technician his name is Sharnoi . I was getting to the point where I was considering changing yard service until I met Sharoni . He pulled up he got outside hello we shook hands and proceeded to talk about my properties. He urged me if I had any problems to please ask any and all questions. He was NOT crazy rush and I know they have a schedule he took his time he allowed me to speak without being interrupted . all-around great tech and superior customer service skills. This is the technician I want every 6 to 8 weeks Please do not switch technicians on me. He’s the smiling face I wanna see when I am due for service. Thank you for your time. Gary Fuchs 307 and 309 Rosewood Court, Venice, FL. 😎🇺🇸🇺🇸. First service, application with Jorge. Do believe he will work out just fine. Second service hired and believe this is the right one. My service professional, Matt, was prompt and knowledgable. This was my first pest treatment by PestBear and I satisfied with their service. Thanks Matt! Great job. No complaints. Glad I switched to Pest Bear. All of the people I have had contact with have the knowledge to do the right thing for our yard. I have done all my yard work in the past, but when we moved here there were too many different types of weeds and grasses .I am getting the help I need. George has the knowledge and personality to help anyone with these problems. My technician was very polite and professional. He answered to all my questions and concerns. Excellent results. Since we engaged their services we have not seen bugs indoors. Strongly recommend PestBear. Technician very courteous, knowledgeable, and patient. He listens well and seems to really care about our concerns. He's also very timely which is unusual in most businesses. Thank You!! Only started service about a month ago, but were very satisfied with our initial service. I like that billing, notices, etc. are done via email! Everything nice and smooth. Great results. Great first experience with this pest company. Andrew was very pleasant to speak with on the phone. He was very helpful in working with my scheduling. So far I am happy with the service that you have provided, I am relative new but so far you have been much better in providing service than who I had previously. Great lawn and pest control care for an affordable price! I am very happy with Pest Bear services. They do my lawn, shrubs and pest control at a very reasonable price. The two young men who care for us are Enzzo and Pedro . They’re both so polite, so knowledgeable and very pleasant to work with, answering all my questions and addressing my concerns. I’m thankful they do our area, they’re the best. On a scale of 1 to 10, I’d give them each a 20!! PestBear keeps my lawn looking great and does a great job controlling bugs. I highly recommend this company. For years we have had lawn service and pest control with Pest Bear. Florida is noted for bugs and critters. We haven't seen a bug inside or outside for years and the lawn looks great and the cost is affordable. RBS. DO NOT remove me from your website. I sent that message out in error. I am happy now because Jorge has returned. Prior to his return, my lawn was looking like my driveway. Now it is starting to look green again, but will take time to recover from the dead. Jorge recognized the problem immediately while his predecessors' couldn't see the problem they were walking on. I like the fact that you call when you’re there and tell me what you’re going to do that to me is really important thanks for your good service I’ll be down to see how my yard looks about a month i’m sure it was awesome thanks again. 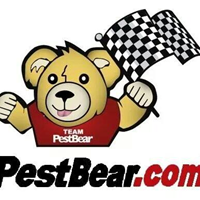 We are new customers to PestBear and are very satisfied with their service. They are informative as to when they will be servicing our property. They do an excellent job both inside and out. The staff is courteous and efficient. We highly recommend them. Jorge has been good. I like how you announce that you are present and indicate what services will be performed. Also I like the warning to keep pets off the lawn for a period of time. Matt is a star, thank you for his thorough attentiveness. VERY PLEASED WITH YOUR PROFESSIONAL SERVICE. Really too early to tell, I’ve only had one inside pest treatment and 1 yard weed treatment. I am happy with the customer service so far. The agent was very attentive to our needs. That is all I could ask. PestBear restored the lawn in front of my house in a very short period of time. I had a previous service, but they were not effectively treating the lawn as the grass had bare patches and weeds. Within a month or two of switching to Pest Bear, the bare patches have filled in, the weeds are gone and the grass/lawn looks healthy. Thanks Pest Bear! MAT WAS ON TIME, ATTENTIVE AND THOURGH. I guess I am ok with the service but not with the phone calls as I can not make your people understand that they need to schedule my service with my next door neighbor as I am not in Florida...but we got her done...thanks. Only have had two treatments on lawn but am seeing good results and your tech is very polite and friendly. Service tech was very thorough and courteous. Results are noticeable in my landscape. Would like to be contacted on arrival and departure when done... Paul Schide.